Note: this website has been recently upgraded. If you have any problems with the automatic downloads please contact me and i will send you them personally. There are many Schools of Kabbalah that have emerged over the last few thousand years. Since the Hellenic occupation of Israel 332 BC – the Greek, Egyptian and Hebrew mysteries have mixed and influenced each other extensively, and created the best structure for holding in place the knowledge of the ancient world, its arts, magic and sciences, intact! Every school has its own philosophical, metaphysical and practical angle, each with its own benefits and seeming criticisms of the structures of other schools. One thing they all agree upon is the Tree of Life structure based on the description in the Sephir Yetzirah, the oldest book on Kabbalah. Every school interprets and makes use of this most ancient of texts and riddles, and each school produced its elect, who take the Tree of Knowledge, find the Tree of Life in the Eden of their soul and bring it to the world for its betterment. Hermetic traditions are renowned for their secrecy, their focus on practical magic, alchemical transformation and transfiguration, their exclusive layers of initiation and levels of achievement, complex artistic designs and grimoirs, and creative feats that influence history itself, yet they often deliberately corrupt their own knowledge to test that the adept might figure out the flaw and seek the truth out for themselves, lest they take anything on blind faith. The Jewish traditions are know to be enhancements towards the skills of religious studies and communal responsibilities, without the need for deliberate literary flaws as their achievements in Kabbalah truly require an advanced and well contemplated intellect to comprehend. The magical aspect however is often thwarted or completely hidden. Both systems are devoted to development of the soul on all its levels, physically, emotionally, spiritually, intellectually and towards expressions of deep creative clarity that are standing stones of enlightened Chokmah – wisdom. The system of Kabbalah I present here is a fusion of Hebrew and Hermetic traditions, influenced by modern science, indigenous ritual and culture, and my own life experiences. I found in my journey and studies that the two fill in gaps where the other left off, the Hermetic furthering scientific, magical and wilful purpose, the Jewish promoting more wholesome communal evolutionary values of kindness and cooperation. Both offer the best system of magical knowledge and a path of initiations towards the Ruach haqodesh, the state of enlightenment known as the Holy breath. sacred geometry, Hebrew studies and chanting, circle magic, breath work, analysis of the mysteries, mythology, and more. By creating an immersive experience for students to enter into I find they gain that magical mystery place paradigm that allows them the exit the habitual thoughts of the mundane world and enter into the spectrum of Holy knowledge and its workings, in the modes of higher conscious contemplation and creation. In this way effective paradigm shifts are assured that allow the adept to experience the Tree through their immediate environment and the events of their life, as living examples for contemplation to extract the clearest Binah and Chokmah, Understanding and Wisdom. From such development and tikunim (corrections or rectifications), students can make adjustments, inwardly and outwardly, for the refinement of one’s soul, perspective, lifestyle, belief and self empowerment, which triggers changes and a blossoming of the spiritual being through all levels of living existence. My path begun in science and medicine but led me directly into mystical development, which included in its spectrum, the soul. 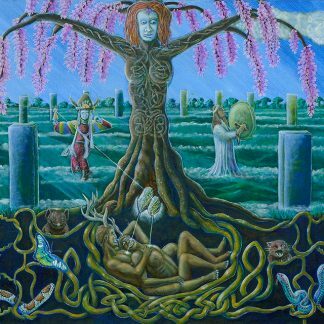 For over 25 years I have walked the paths of the Tree of Life, become intimate with its archetypes, its workings, with the anatomy and physiology of the soul in its spiritual environment, and its effects into the physical realm. Being trained by trance mediums, and exchanging with other occult practitioners my methods were forged. I reclused myself from university life to spend 16 years contemplating the Kabbalah and working its magic, and painting 12 tarot decks during this period, as intense studies of the religions of the world and their mystical core influences. I then travelled the world to verify my theories, and connect with mystics the world over, in a vast undercurrent of interconnected consciousness that links us, and has done since the pyramid cities of the world rose in their grandeur. Although I have been adamant to only teach Kabbalah as a traditional one on one modality in the past to insure the teachings are transmitted effectively, the modern world has called for expansion and so now I offer this ongoing online Kabbalah course. 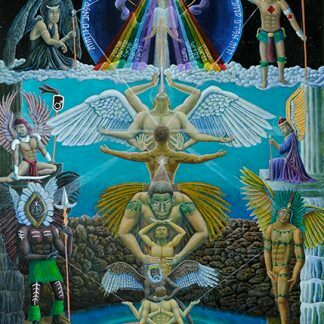 Tree of Life studies, sacred geometry, ancient Hebrew, working with angels, divine names of God, Astrology, Tarot, Sephir yetzirah studies, talismanic magic, Hermetic Magic, history, practical application, healing techniques, chants and invocations, singing from ancient scripture, and more…. This course is designed to buy in instalments or in large segments. It is advised that one follows the curriculum as Kabbalah is a sequential unfolding of the soul along a certain order and layering. There are theoretical and practical books, tarot and posters which will help the adept greatly along their path. It aims to give you extensive knowledge of the patzufim, the personifications and archetypal characteristics of the paths, planets, zodiac, and the combining frequencies. It is a step by step self psychoanalytical tool which penetrates and pervades all levels of the soul in its interaction with universal forces. It is said that the amount of work done on the soul is rewarded in life three fold. And in my experience, within myself and from observing devoted students, it brings the great reward of knowledge and living illumination, removal of boundaries that obscure the light of divine love, human love, and all the benefits that go with it. It creates a field that allows adepts to connect with like minded people, soul mates, friends and lovers. 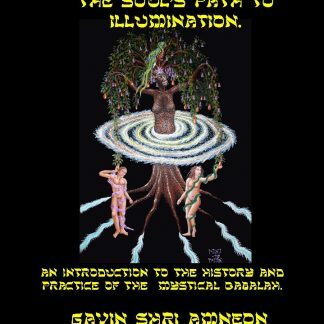 Besides being the greatest well spring of occult knowledge known to man, the Kabbalah is also the skeletal core of all the western mystery traditions, Pagan, Gnostic, Hebrew, Egyptian, Sumerian, Greek, and has even influenced Sufism. Enjoy your journey travelling the paths of the Tree of Life, exploring your soul, and expressing the light that bursts forth from such a process. Go to the online Kabbaah course button on the right of the screen to begin…. – a group of singers and musicians devoted to bringing ancient holy songs to life in a ritual setting. 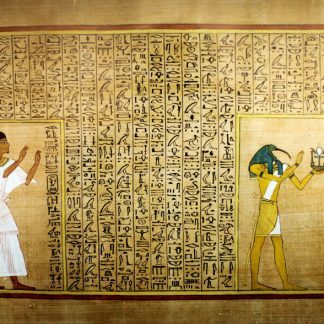 Invocations from ‘The Egyptian Book of the Dead,’ the Sumerian ‘Enuma Elish’, Sufi prayers in Arabic, invocations from the Kabbalah in ancient Hebrew, sutras from the Tantras in Sanskrit. Deepen the mystery of your soul by immersing it in sublime sound…. 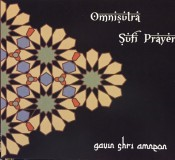 Gavin Shri Amneon sings and holds ceremonies in many ancient languages and is available for hire for private and small public ceremonies. 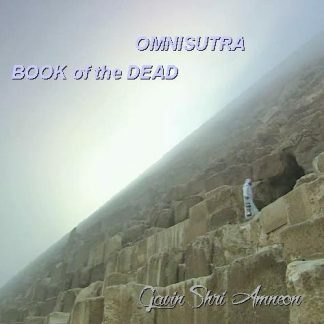 Gavin sings Hebrew invocations of the Kabbalah, Sanskrit sutras from the tantras, and also sings in Sumerian, Arabic and ancient Egyptian from the Book of the Dead. Donations: please help support mystical culture in your community by donating to this cause. TAKING STUDENTS for KABBALAH AND TANTRIC SUTRA STUDIES. Gavin Shri Amneon is a teacher and practitioner of Kabbalah and Tantric Yoga, and has practiced for 20 years. 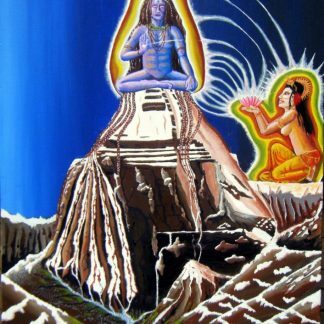 In this time he has dedicated his creative and contemplative efforts to shedding light onto the core mystical teachings of the worlds great religions, and the in depth mysteries of the past civilizations that rose into splendor. His art has been converted into tarot decks for contemplative and divination use. He has also published many books on the mysteries and practices of the Holy Kabbalah, and on Tantra, and has been teaching these methods for over 10 years. His vision is of global unity though awareness of the core mystery that unites our souls together as one people. Gavin’s school of mysticism is based in Ringwood North not far from the Yarra river outside of Melbourne Victoria Australia, where he takes privates students in Kabbalah, Tarot, and Tantric studies and practices, and runs groups.